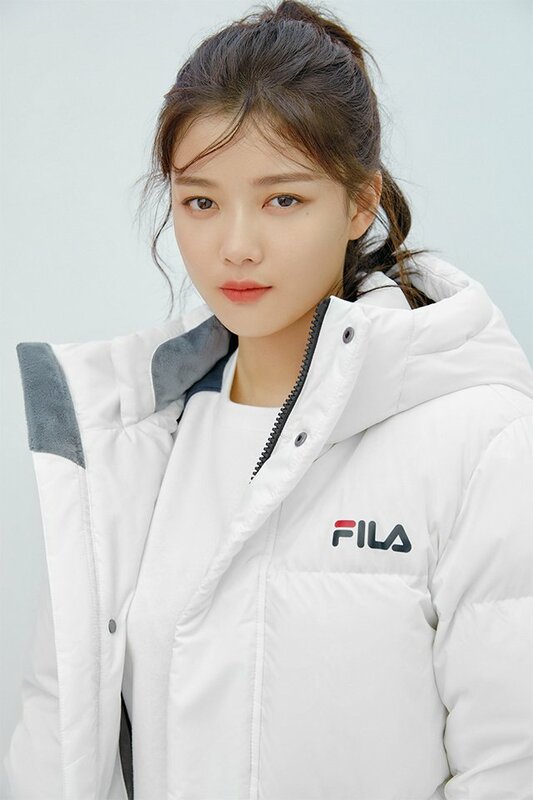 The lovely Kim Yoo Jung dropped a new pictorial for sportswear brand Fila last week, a familiar face for the campaign for the past few seasons and reassuring to see back in action. She battled a health scare earlier this year that caused the drama Clean With Passion for Now to halt filming. It’s since resumed filming but swapping out the male lead to Yoon Kyun Sang, which will make for a very shoujo-esque height differential between the leads onscreen. I’m not going to harp about the age differential of the leads in real life, I think both are good enough actors to convince me they are playing a role and I just want a cute story that’s worth their involvement. 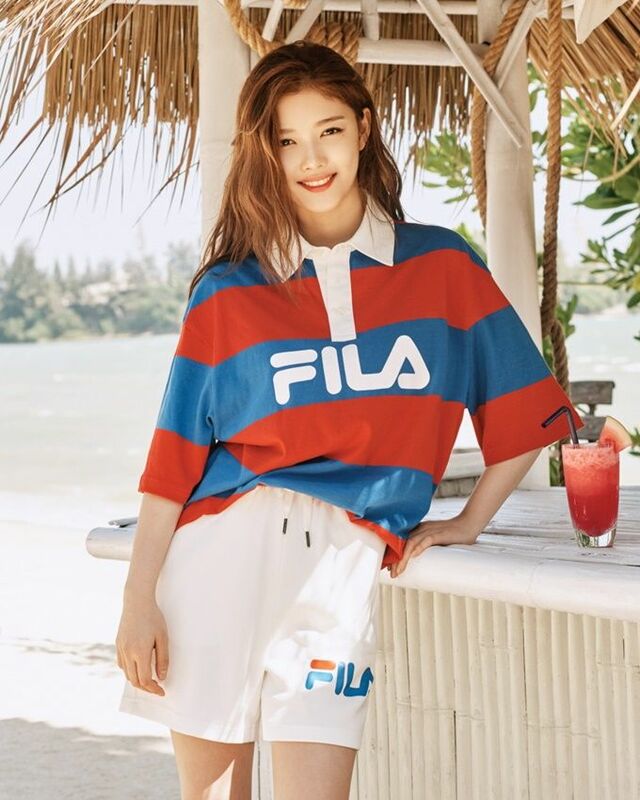 Kim Yoo Jung’s Fila pictorial for this summer season is just as warm and breezy as the vibe she gives off. I thought these were released early this year and her latest pictorial for Fila is the white down jacket? Anyways, glad that she’s slowly returning back to the limelight as it means she’s recovering back her health. Can’t wait for her drama and really appreciate them for waiting for her. Yeah this was released early this year. The latest is indeed the one with the white down jacket where she has black hair again. She’s so beautiful, a radiant beauty ! I prefer her kind of beauty than the classic one (rond eyes, perfect oval,etc.). I’m ready for her drama ! So beautiful! Great to watch her grow up and blossom from a pretty and cute child to a lovely, gorgeous young woman! Thanks for updating the post with the latest Fila shoot, Koala! Yoojung looks so lovely. As for CWPFN, it’s less the age gap and more that I simply can’t imagine her and YKS being a visual match (and the age gap doesn’t help). But we’ll see. Hopefully it works out.